An Inner View has returned for a third instalment – a programme where I interview industry figures from across the globe to offer you their thoughts on the industry, the hottest trends, upcoming launches and more. But, for the first time since the series’ conception, this episode will not feature a manufacturer. 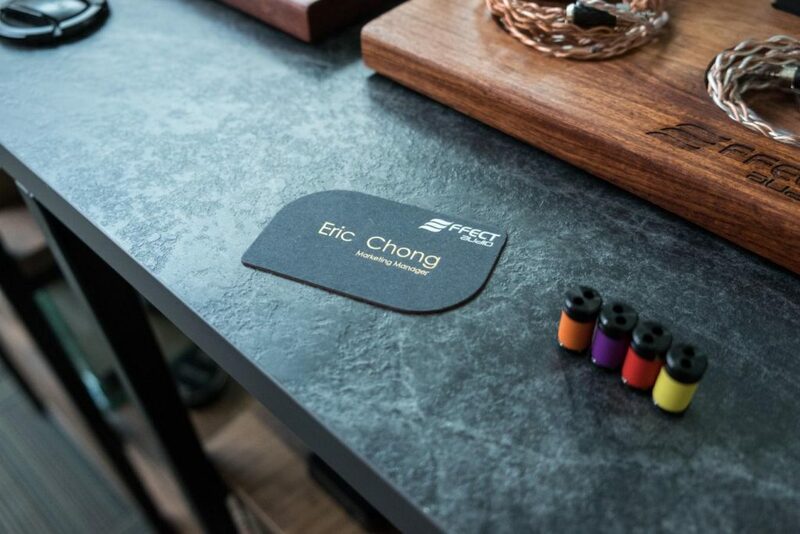 Today, I’ll be talking to Euphoria Audio’s Eric Chong – Singapore’s top dealer for all things Effect Audio, Empire Ears, Vision Ears, Jomo Audio and Campfire Audio. In the three hours Eric generously gave me (don’t worry, the interview has been edited for time), we go in-depth on what a dealer is, the manufacturer-consumer relationship, brand representation, the Singaporean audiophile experience and so much more in what is perhaps the most insightful interview I’ve conducted to date. Without further ado, this is An Inner View. Photos not of my own were provided by Euphoria Audio, Effect Audio, CanJam Global and ConnectIT. Hello Eric! Thanks so much for taking the time to do this interview with me. First off, could you please introduce yourself and your role in Euphoria Audio? Sure! I’m Eric. My role here is managing the entire Euphoria Audio initiative. Our mission is to create a showroom, as well as a community where people feel welcome to try gear. My job mainly spans from marketing, operations and general management. Is Euphoria Audio your first venture into management or sales? Actually, no. My first venture into managing was with Jaben. 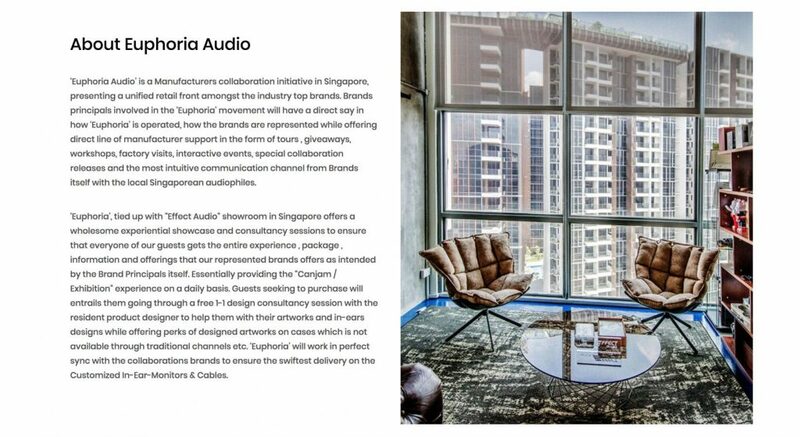 That was where I started my audio career, and within three years… four years, I was managing Jaben Singapore. Then after that, I was approached to start the headphone division for AV One, which later included marketing it as well. Afterwards, I moved onto Effect Audio, where I went further into the marketing side of management. That was when I crossed over onto Euphoria. When was the idea for Euphoria Audio initially conceived? The initial idea for Euphoria was conceived a couple of years back. 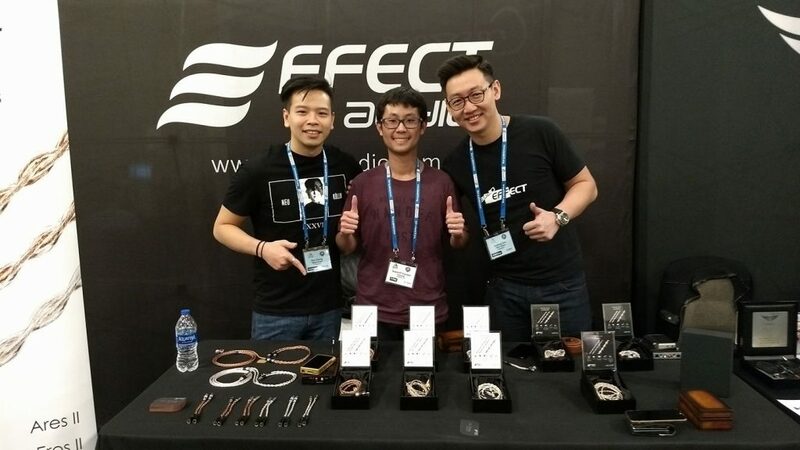 (Effect Audio founder) Suyang and I first started talking about it after a show – either in Hong Kong or China – when we were having drinks together. At that point in time, we were not interested in opening a retail showroom. 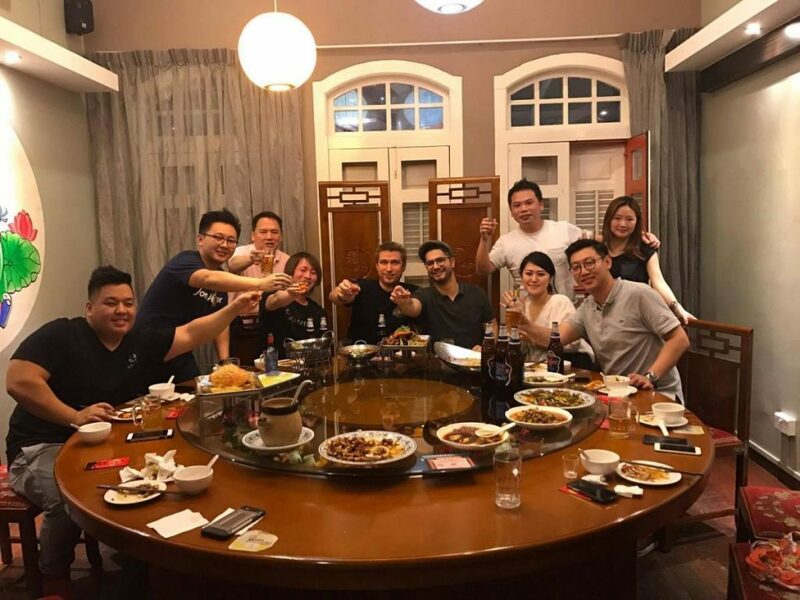 But, our Hong Kong distributor Ben was there and we asked him, “Hey, why don’t you open a retail store in Singapore?” Ben said he’d think about it. Why did you feel you had to start Euphoria Audio? Well, all of us (Effect Audio, Empire Ears, Vision Ears, Jomo Audio) wanted representation. Between a manufacturer’s standpoint and a retailer’s standpoint, there are typically conflicts of interest. Retailers want to sell goods; they want cash flow. Manufacturers want you (the dealer or retailer) to represent their whole, entire line. They want you to know more about the brand. They want you to know what’s come before, what’s coming; the direction they’re moving in; why they’re doing this or that. They want feedback from you. These are things a regular retail store cannot – or will not – offer and we felt we could provide ourselves. Over here, we get a lot of different perks like first-hand information. How often do you find a store with a direct line of communication with the manufacturer? That’s usually up to the salesperson in charge of your region. So at the end of the day, we started Euphoria because we needed proper representation of the brand and because we wanted to create a showroom experience for the consumer – like a mini-CanJam. Would you say that you started Euphoria for both the manufacturer and the consumer in equal measure? Well, it’s for the manufacturers in that they get to dictate how they want to display their brand. They get a first-point-of-contact with the customers, which not a lot of manufacturers can afford. Because as a company grows, there’s a lesser and lesser chance for the upper management to get in touch with the consumer on a point-to-point basis. Personally, as a consumer, a manufacturer and – formerly – a retailer or distributor, I don’t want to lose that point-of-contact between the manufacturer and the consumer. Because, it could really make or break a company. The last thing we want to have is a cold manufacturer like an Apple or a Google where they’re just doing their thing, and you (as the consumer) either take it or leave it. For the consumer, I think what’s lacking in Singapore right now is a retailer that’s able to truly represent their brands and become their spokesperson. Here, the relationship has always been between a buyer and a seller. A lot of people feel pressured when they walk into a retail store, especially when all they want to do is try something, because they’re afraid of getting weird looks from the staff as they’re leaving. For the retail store, all they’re thinking about is man hours, leasing… so, every minute they spend with you – knowing you’re not gonna buy – is gonna tick them off. But at the same time, you can’t fault that on them. Maybe if they show it, they aren’t as tactful. But, it’s a completely valid emotion; frustration. So for us, what we want is to create a safe space where none of those pressures exist. Sometimes, people do just want to try, and we understand that as a manufacturer. We welcome you to try. I mean, it’d be good if you were to make a purchase, but as manufacturers, we genuinely want to chat with you. We want your feedback. We want to know what makes our product good, or what makes our product crap. 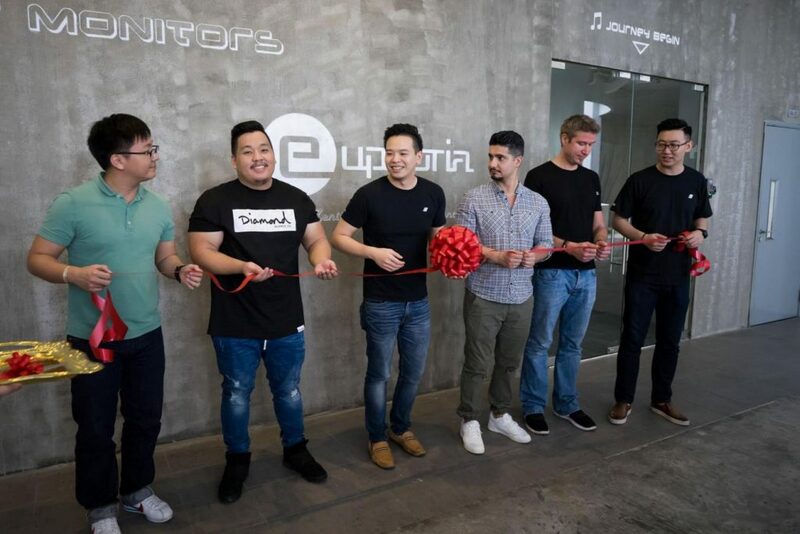 Is Euphoria Audio a retail store? Well, by common terms, we’d probably be called a retail store. But for us, we didn’t want to be just another, average retail store. So, there are a lot of things Euphoria offers that differs from that, including subtle aspects we’ve implemented into the location itself. One of them is a POS system. We don’t have a point-of-sales system, we don’t have a cashier counter, because what we want to induce is a comfortable space where you aren’t pressured to just buy-buy-buy. This is why you see the sofa and the countertop. If you’re the type of consumer who likes to chill, you’ll be there (at the sofa), and if you’re the type who likes to focus when they’re listening, you’ll be here (at the countertop). So although yes, you can purchase items here, ultimately what we want to offer is a community experience. Given Euphoria Audio’s distinction – as you said – from your average retail store, were you able to apply any of your previous experiences to your current situation? Here, of course we encourage you to purchase, but it isn’t our main objective. We decided instead to focus on the experience. If you walk in to try Empire Ears or Vision Ears, we wanna give you the Empire Ears experience or the Vision Ears experience. So sometimes, when we chat, I’ll show you photos of us with the manufacturers at bars, or share funny moments; those kinds of things. So rather than going, “Oh, I’ll sell you this item at this special price,” which is what works at a retail store, we want you to get to know the brand as we do and let you decide purchases based on that. As far as what didn’t work (in retail stores), that’s something we at Euphoria actually capitalise on. What didn’t work with previous SOPs (standard operating procedures) is customer feedback: complaints, what they’re happy with, what they’re not happy with. And, follow-up. 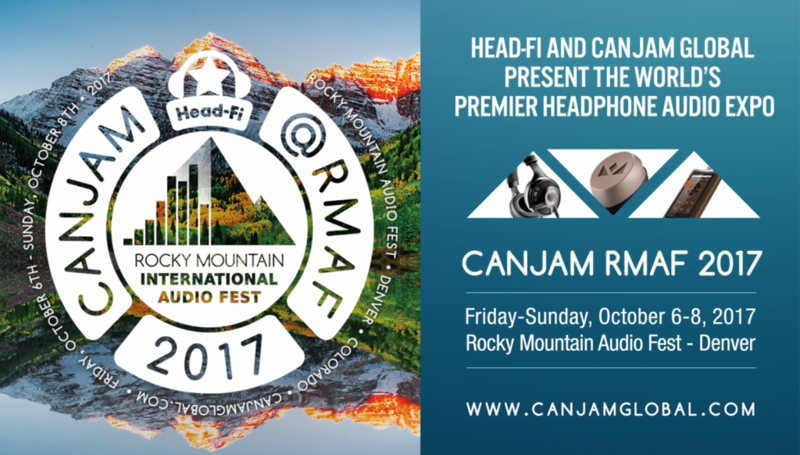 Among retail stores – especially in our industry, where there’s a lead time on custom IEMs – there is a serious problem, which is the lack of follow-up. This is something we don’t tolerate. I believe accountability is really important. 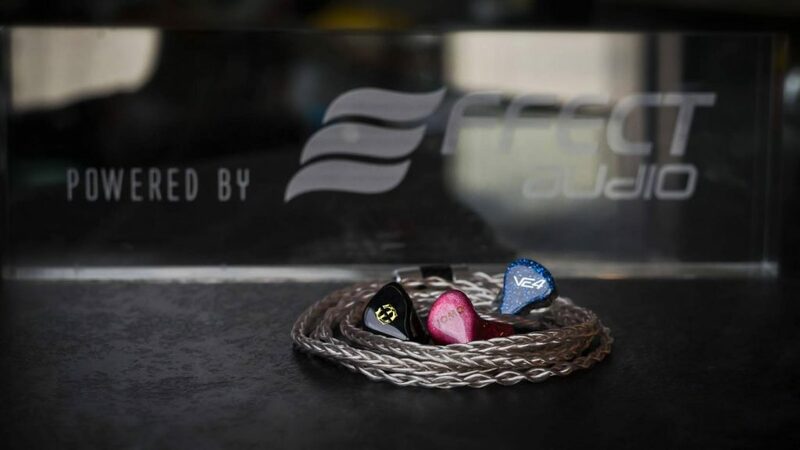 Your initial roster of in-ear brands consisted of Jomo Audio, Empire Ears and Vision Ears. How did those relationships first come about? Well, the first manufacturer we personally got in touch with was Joseph, because he’s also based in Singapore. 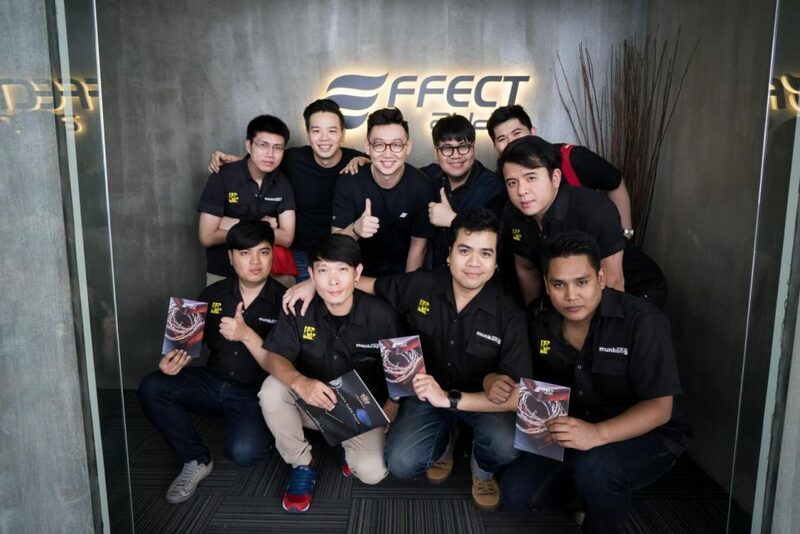 Back then, I’d just started at Effect Audio and I felt that he was a strong, up-and-coming manufacturer. We met up over coffee with Suyang and that was when we started working on projects together, we went to shows together… We shared the same distributors and dealers as well, so when it came to business, we had a lot in common. On top of that, he’s – as you know – an extremely easy person to work with. The second one – for me, personally – was (Vision Ears’) Amin. Before, Euphoria, Effect Audio was already a dealer for Vision Ears. Not a lot of people know that, because we didn’t explicitly advertise that. We then introduced them to AV One, and so on. It’s also been a long working relationship between Suyang and Amin, because Vision Ears sold Effect Audio’s Thor Copper cables as well. So, we started hanging out at every show and – considering the amount of shows we go to – that’s very frequently. Eventually, it became more of a friendship than a business thing, because we started out just as friends grabbing dinner and having drinks. How did that then develop into the professional partnerships you have now? Was it difficult for you to pitch the Euphoria Audio vision to them? Your eventful outings are also very well-documented on social media. (laughs) Would you say those close interpersonal relationships are vital to your successes as a group? I think so, because it’s not very often that competitors can sit together and trade constructive opinions without backlash. But, I also think we have a healthy relationship where we’re able to share information, which again doesn’t happen very often. Even for non-competitors, why would a manufacturer just share vital information on the market with another brand for no reason? But, this is what happens during our meets. We share things like market trends, market movements, what works with this distributor, what doesn’t work with that distributor… We plan our moves together, and I’ve always felt that working alone will never get you far. If you were to do something as an alliance, the impact on the market would be much bigger, even if you’re all competitors in one way or another. Did that trust eventually come from meeting at shows so frequently? It did! When you meet people more often, you get to know them more, you get to know how they think, their stance and also how they view their business. “Do they take it seriously? 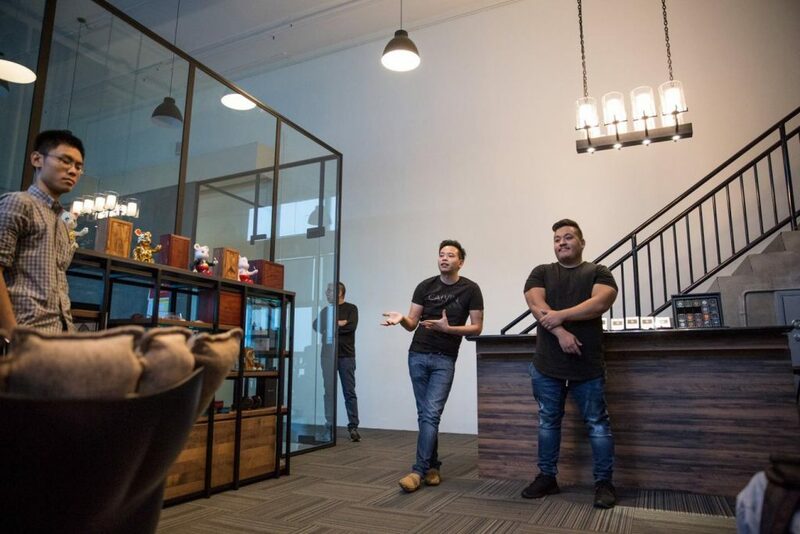 Are they only in it for the quick cash grab?” These guys are very serious about their product, they’re very serious about their attitudes towards their customers, and they’re very serious about how they carry themselves and their business. I mean, sometimes, there are collaborations between us that flop. But, we don’t throw blames. We look into it and see how we could do better – together – next time. Going back to what you said about trading criticism and accountability, how important do you think it is for a manufacturer and a dealer to communicate effectively? I think it’s really, really important. I know, because I’m at both ends. (laughs) As a manufacturer, you have your own objectives. As a dealer, you have to be aligned with your manufacturer’s objectives, but you also have to manage their expectations. Like, if Effect Audio said, “I want to move 10,000 Leo II’s in a month,” it’d be impossible for a dealer in Singapore to be like, “Alright, I’ll take 500.” That’d be suicidal. So, it’s vital to have good communication between both parties. I have seen cases where a dealer goes, “I want full control. I don’t want any input from you.” But, I haven’t seen a case where it works out well. I’ve also seen cases where the manufacturer wants full control. “I don’t care. What I say, you’re gonna do. What I wanna move, you’re gonna stock.” Again, I’d never foresee that working out. If that communication begins to fail, what symptoms would surface and what dangers would exist for either party? Early symptoms tend to be delayed communication. It takes a week or more to reply to an e-mail. I mean, whether to a manufacturer, dealer or consumer, any response is better than no response. Or, a response six days later when the relevancy of that e-mail had already lapsed. To a manufacturer especially, five days… six days… three days are very important, because we work in monthly cycles. We look at things in monthly cycles. So, if you were to burn a whole week just to reply to an e-mail, then we started negotiating which’d be another week, and then a third week to go, “Okay, let’s do it,” you’re only left one week to set-up and implement what we’d planned for the entire month. And, if communication were to break down, we’d definitely see that in terms of figures. If we go to Black Friday for example – which should be your best sales cycle – and you only manage to sell two items, we would definitely ask questions. As a manufacturer, when we ask questions, we don’t go, “What happened? Why didn’t you do well?” When we ask questions, we try to understand what’s inhibiting these sales, what’s inhibiting growth, how we can help and how we can do better. We do this with our dealers often and they tend to appreciate it. At the end of the day, I think that if dealers weren’t earning enough from your goods, they wouldn’t be happy carrying your brands anyway. But, if the relationship was strained, there are cases where the dealer gets defensive when we ask these questions. I think this is where there starts to be a split of opinion. And eventually, it’ll lead to a dissolve of the partnership. What about the consumer? How would a strained relationship between the dealer and the manufacturer affect the consumer? It’s a very common thing. It happens worldwide. “I have something better.” “That one’s not so good.” Etcetera, etcetera. So, consumers will definitely begin to receive incorrect information. Sometimes, they don’t even have the option to try products out, because the retailer has stopped publicly displaying the item. Another one comes when the relationship’s become strained, and the retailer no longer believes in the brand financially. So, they stop carrying their stocks and investing into the brand. Then, when a consumer comes in and says, “I want to purchase this right now. I don’t need any information. I just want to purchase this right now,” the retailer goes, “I don’t have stock.” So, that removes the convenience of the consumer. Do you find yourself more often becoming the manufacturer’s mouthpiece, or the consumer’s? I think – as much as you can – it has to be a balance. Your role as the middleman is to make sure both parties benefit as much and as equally as possible. For example, if a customer comes in and asks for a complimentary reshell because their IEMs have inexplicably cracked, and the manufacturer wants them to pay for it, you have to be wise enough to know who’s at fault and who should be taken to task. As manufacturers ourselves, we have the experience to discern that. If the customer is at fault, it’s important to not only let them know, but to also explain why. I find where most retailers fail is their inability – or perhaps, refusal – to communicate with the customer and explain the rationale behind why you’re charged this, or why you have to wait that long, etcetera. At the same time, if the manufacturer’s at fault, we do as much as we can to help the consumer. Obviously, there are times when we have to censor what we say to both sides, but the goal at the end of the day is to have as much mutual benefit as possible to both the manufacturer and the consumer.